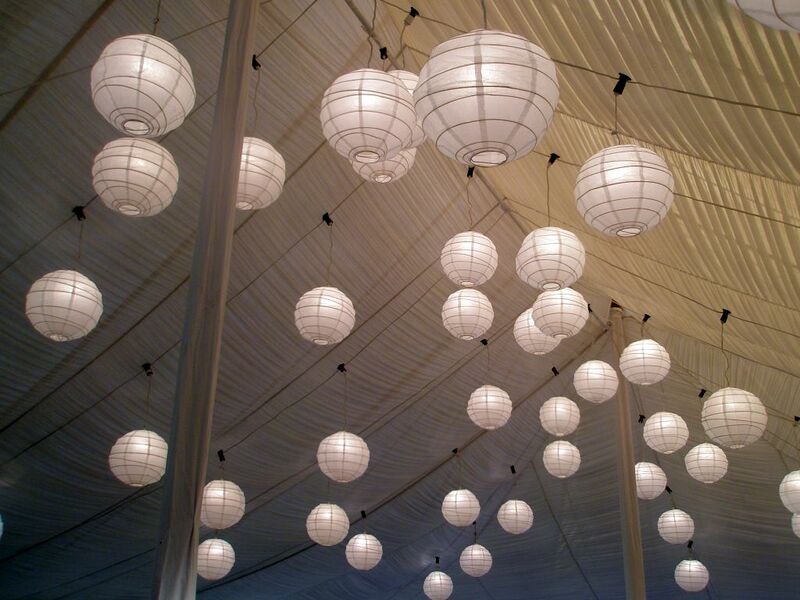 One of the first "wedding things" that I fell in love with was the paper lantern. I found picture after picture of pretty, soft lighting. I checked out tutorials on how to make them grow with LED throwies, and how to rig up a flameless candle to do the same thing on the cheap and easy. The problem? Well, I'm not doing the tent-wedding thing that these lanterns seem to be popular for. I love these as well ... I just can't find a good (cheap) source for the paper lanterns. We are doing tents so I have the need for them, just not sure I have the money. Let me know if you have found a cheap source. Amber, have you seen Luna Bazaar? OMG, when did you get Engaged? !